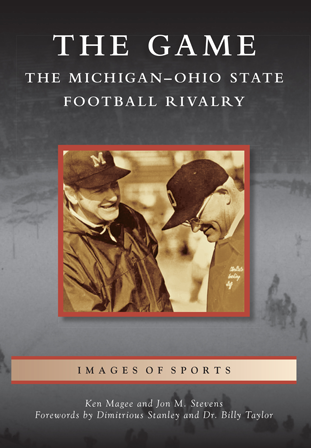 With a history that stretches over a century, the Michigan–Ohio State rivalry is one of the oldest in college football. The two teams claim a combined 19 national championships, hundreds of All-Americans, and 10 Heisman Trophies. Each year, millions of Buckeye and Wolverine fans watch the two teams battle for an opportunity to win the Big Ten championship in a contest simply known as "the Game." Ken Magee is an expert in Wolverine football history. He is a 30-year veteran of law enforcement, former chief of police for the University of Michigan, and a retired federal agent. A portion of this book's proceeds will benefit the Ken Magee Foundation for Cops, which assists police officers permanently injured in the line of duty. Jon M. Stevens was born in Powell, Ohio, and grew up in the shadow of Ohio Stadium. He earned a master's degree from the University of Michigan in 2004 and is currently a designer for an architecture firm in Ann Arbor.